Ginkgo biloba is one of the world’s oldest trees. Ginkgo leaf extract contains flavonoids and ginkgolides, substances scientifically considered as high in antioxidative capacity. 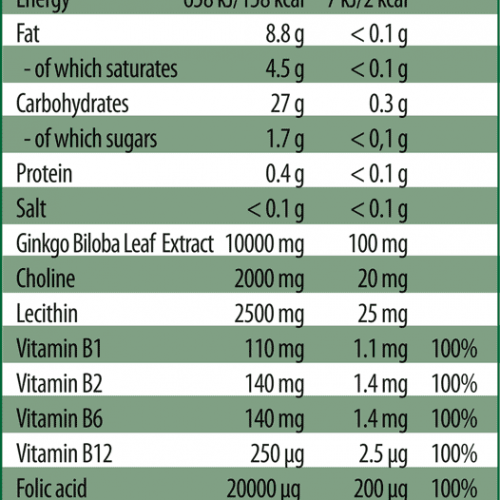 Vitamins B1, B6 and B12 contribute to normal energy-yielding metabolism. Both vitamin B1 and B2 contribute to the normal functions of the nervous system. Folic acid contributes to normal psychological function. Folic acid, vitamin B6 and B12 contribute to the reduction of fatigue and tiredness. 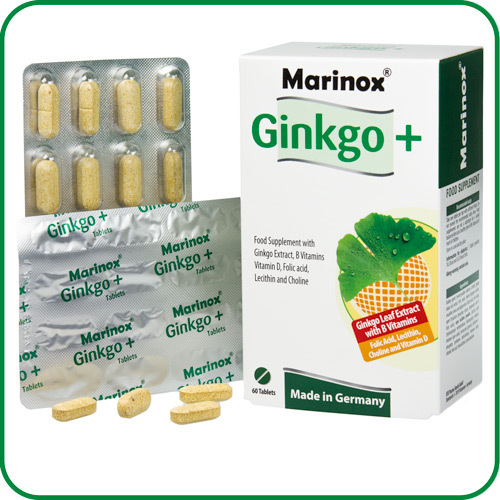 Marinox Ginkgo+ contains no genetically modified substances. avin-5- phosphate, pyridoxine hydrochloride, thiamine hydrochloride, folic acid, cholecalciferol, cyanocobalamin. 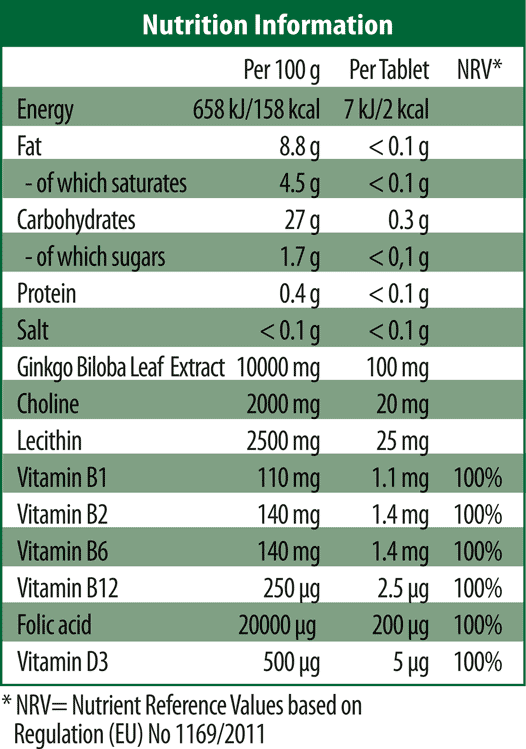 1 tablet provides 7kJ/2kcal and 0.02 bread units (BU). 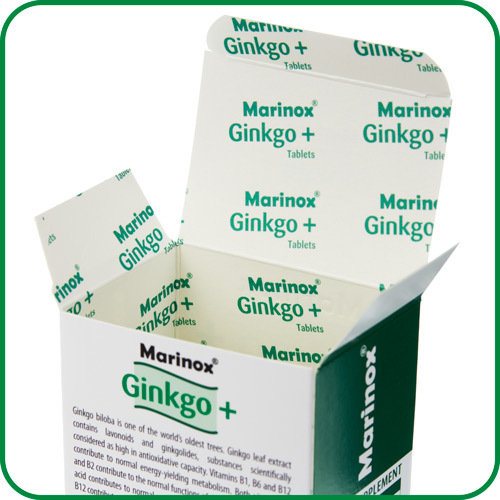 Marinox® Ginkgo+ contains no genetically modified substances.